I’m not sure whether Clas Ohlson’s people are reading this blog, or whether – more likely – the obvious locations for new UK stores are fairly easy to identify. Both shops are scheduled to open in December, shortly after the previously announced new store at Merry Hill, and will be similar in size to the existing Clas Ohlson shop at Liverpool’s Clayton Square. Their opening will increase the number of Clas Ohlson stores in the UK to ten. The Norwich store is to be located in unit 13 of the Chapelfield shopping centre, occupying retail space of 1,570 sqm (16,899 sq ft) in what I understand used to be the lower level of the city’s Borders store[broken link removed] – a prime spot opposite H&M. At 1,640 sqm (17,653 sq ft), Cardiff’s store, in the St David’s centre, is a similar size to the one in Norwich. St David’s was extended and refurbished at the end of last year, with an impressive new John Lewis as its centrepiece, and I’m assuming that Clas Ohlson will occupy one of those new units that has not so far attracted a tenant. Interestingly, both Chapelfield and St David’s are owned (wholly and partly respectively) by Capital Shopping Centres. With CSC also owning Watford’s Harlequin and Manchester’s Arndale (as I noted here), it will mean that four of Clas Ohlson’s ten UK stores are in CSC locations. On this basis, how long can it be before CSC’s Eldon Square in Newcastle or MetroCentre in Gateshead also gets in on the Clas Ohlson act? 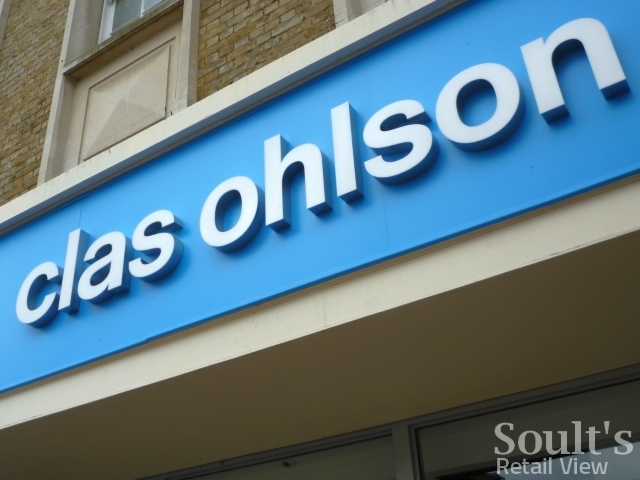 UPDATE, 30 August 2010: It’s been announced today that Clas Ohlson has also signed for a 1,760 sqm (18,944 sq ft) store in Doncaster’s Frenchgate Shopping Centre. There seems to be no word on the exact location yet, though I’m wondering if it will be the still-empty former Woolies site.